Most of the inhabitants of Montenegro are, at least nominally, Christians, but there is a significant Muslim minority. The main Christian denomination is Eastern Orthodox, but there is a notable Roman Catholic presence. There are also small minorities of Protestants and Jews. When predecessors of Montenegrins arrived in what is today Montenegro, they, like the other Slavs, were pagans. Under the dominating force of the Indo-European gods we can see the lineaments of an ancient pre Indo-European goddess. She deals in death and fertility, and she is both a hag and the virgin, a sign of matrilineal society, a moist Earth Mother, pregnant before the spring. The white god, Belobog, is a ruler of the day and year, and contends against darkness and death. In the Slavic world the bipolar oppositions are powerful: light and dark, day and night, life and death. There is almost a Zoroastrian feel to pre-Christian Slav religion. Among the gods Perun, god of thunder and associated with the oak, was powerful in dispensing justice and fighting against enemies (Ninian Smart, The World's Religions, Cambridge University Press, 1989, p.276). It is assumed that the Slavs from the territory of present day Montenegro, had accepted Christian faith from the local population who were predominantly Christians. It is, in our opinion incorrect to state, as some Montenegrin scholars of liberal provenience do, that they were Roman Catholics at the time. Namely, the Slavic colonization of the Balkan peninsula occurred during VI century and probably finished by the middle of VII century whereas the Roman Catholic Church separated from the Eastern Orthodox Church in the eleventh century (1054). It follows that, the predecessors of Montenegrins began accepting Christianity long before the 'Great division' took place and therefore, prior to 1054, should be denominated only as Christians. In 1884 a lead stamp was found, on which was engraved in Greek "Petar prince of Doclea". In addition, it also was engraved the Madonna with Christ, the word "amin" after Petar's title and two crosses. This is a very important finding, since it confirms not only that Doclea (Duklja) was a principality (Byzantine vassal), but also that Petar was a Christianized Slav prince. This implies that Docleans (Dukljani) were Christened before beginning of the Slavic mission of Cirilo and Metodije in the second part of the IX century (V.Nikcevic, Crnogorski jezik, 1993). Similarly, according to D. Zivkovic's findings (Istorija Crnogorskog Naroda, Cetinje, 1989), Doclea was christianized by the middle of the IX century and this period is characterized with spreading of Latin literacy and culture. The rivalry between the Roman Catholic and Eastern Orthodox influence in this area, nevertheless has continued through centuries. Doclea/Zeta was ruled by princes until 1077, when Pope Gregory VII (Grgur VII) sent the king'S insignia (rex Sclavorum) to Mihailo who became the king of Doclea/Zeta. Consequently Doclea/Zeta became a kingdom (Dukljansko Kraljevstvo). Recognizing Mihailo as a king, the Pope also considered his request that Duklja's bishopric in Bar be raised to an archbishopric. After unsuccessful challenge of this request by the rival archbishopric in Dubrovnik and Split the Pope (Clement III), on January 8, 1089, issued a bull to Mihailo's son King Bodin raising the Bar bishopric to the status of archbishopric, with ten subordinated bishoprics and Archbishop Petar as head. It comprised bishoprics (episkopije): Dukljanska (Barska), Kotorska, Ulcinjska, Svacka, Skadarska, Drivatska, Pulatska (Pilotska), Raška, Bosanska, Zahumska, Travunijska, and all the Dalmatian (Catholic), Greek, and Slavic (in Raska orthodox Old-Slav speaking bishopric) monasteries. Between 1183 and 1186, relying on the domestic feudal lords who betrayed the state interest, the Great Raska's chieftain Stefan Nemanja, conquered Zeta and did everything necessary to enforce the acceptance of Christian Orthodox faith by the population of Zeta. In the tide of destruction Nemanja is said to have destroyed 'monuments of Latin literacy by burning local churches and books, persecuted the Bogomils, and expelled the Greeks from Zeta'(Rovinski, Crna Gora u proslosti i sadasnjosti, Cetinje, 1993, p.279). In 1185, the Bar's archbishop Gregory (Grgur), escaped Nemanja's reprisal, which, factually and formally, ended the existence of Archdiocese in Bar(D.Zivkovic, Istorija Crnogorskog Naroda, Cetinje, 1989). In 1190, Nemanja's son Vukan, the first time mentioned Regent of Zeta/Doclea, asserted Doclean King's crown ('Kraljevstva od isprva'). He converted to Catholicism in order to be accepted by the Zeta's feudal lords (D.Zivkovic, ibid.). Zeta's King Vukan, restored the Archdiocese in Bar in 1199, after the approval of Pope Inocentie (Inocentije) III. 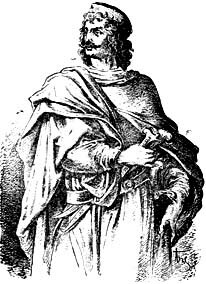 In 1219, Djordje, the oldest son of King Vukan became the King. He was succeeded by his second oldest son Stefan (mentioned in 1252), who built a monastery 'Accession of Mother of God' ('Uspenje bogorodice') in Moraca (D.Zivkovic, Istorija Crnogorskog Naroda, Cetinje, 1989). Between 1276 and 1309, Queen Hellen (Jelena), a Catholic (from the Kurtene family) widow of Raska's/Serbia's King Uros I, was ruling Zeta. She advanced the highest level of autonomy of state of Zeta within Nemanjic's Serbia and built and restored around 50 monasteries in Zeta, most notably St. Srdj and Vakh on river Bojana under Shkoder (D.Zivkovic, Istorija Crnogorskog Naroda, Cetinje, 1989). During this period (1296), the name Crna Gora (Montenegro) is mentioned for the first time in the charter of the monastery of St. Nicholas (Vranjina) issued by the Raska's king Milutin, who was younger son of Uros I and Jelene Kurtene (D.Zivkovic, Istorija Crnogorskog Naroda, Cetinje, 1989). 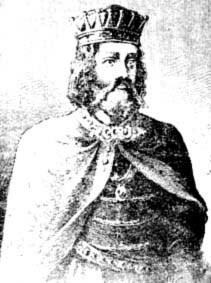 In 1403, Djuradj's II Balsic 17-year old son, Balsa III, inherited the rule of Zeta as his father died in consequence of the injuries suffered in the battle of Gracanica. As he was young and inexperienced his main advisor was his mother Jelena a sister of the ruler of Serbia at the time , Stevan Lazarevic. Under the influence of his mother, Jelena, Balsa III reverted the order of the state religion, passing the law declaring the Christian Orthodox as the official confession of the state, while Catholicism became tolerant confession (D.Zivkovic, Istorija Crnogorskog Naroda, Cetinje, 1989). This, however was the time of the Otoman's conquest of the Balkans. Zeta's rulers were watching in dismay, neighboring states crashing to Turkish rule (Serbia in 1389, Bosnia in 1463, and Herzegovina in 1483). After the long lasted power struggle the Crnojevic dynasty came to power in the early 15th century. To preserve his state and his independence from the Turkish invaders, Ivan Crnojevic in 1482, moved his capital from Zabljak on Lake Scutari (Skadarsko jezero) to the mountainous area of Dolac, under mount Lovcen. There he built the Christian Orthodox monastery around which the capital Cetinje emerged. The Cetinje Monastery, despite being burned down (1692) and ruined many times, has been the single most significant pillar of Montenegrin resistance to Turkish and other invaders and the nest of Montenegrin religious conscience. Moreover, it has been the center of education, culture, and particularly literacy of Montenegrins. The Cetinje Monastery was moved from Cipur after being devastated in 1692 but has not lost any of it's appearance or it's appeal to this day. 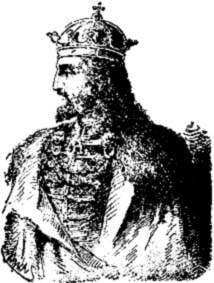 After the Crnojevics' rule, the Vladikas (Prince Bishops) from the Cetinje Monastery assumed the reign of Montenegro (from 1519 until 1696) which, with minor exemptions, lasted until Petrovics' dynasty rule. This in fact assured the state stability and the continuation of the Montenegrin independence. However, these were difficult times for Montenegro. Some Montenegrins were forced to convert to Islam, while some others were bribed in to it. In order to "cleanse Montenegro of Turkish spirit", and to "cleanse the malice from a sheepfold" so that "we can regain as the knights our freedom which is covered with scraps by the foreign dogs", Prince Danilo Petrovic organized execution of converts to Islam on the Christmas eve of 1709. The "Montenegrin Vespers", allegedly, took place in Ceklici, Ceklin, Cetinje's clan, and everywhere where the converts lived (Jagos Jovanovic, Stvaranje Crnogorske drzave i razvoj Crnogorske nacionalnosti, 1947, Obod-Cetinje). Each tribe was held responsible for 'cleansing the malice from its own sheepfold'. The "Montenegrin Vespers" stay at odds with the tradition of peaceful and harmonious coexistence of all faiths in Montenegro. As Montenegro finds itself at the crossroads of all the Balkans religions, it represents an unique cultural and religious amalgam, making the border line between East and West hardly distinguishable.